Screaming Mimi's | 382 Lafayette Street, New York NY | 212.677.6464 » Blog Archive » This month is all about everything denim! This month is all about everything denim! Spring is here and it’s time to start wearing denim! 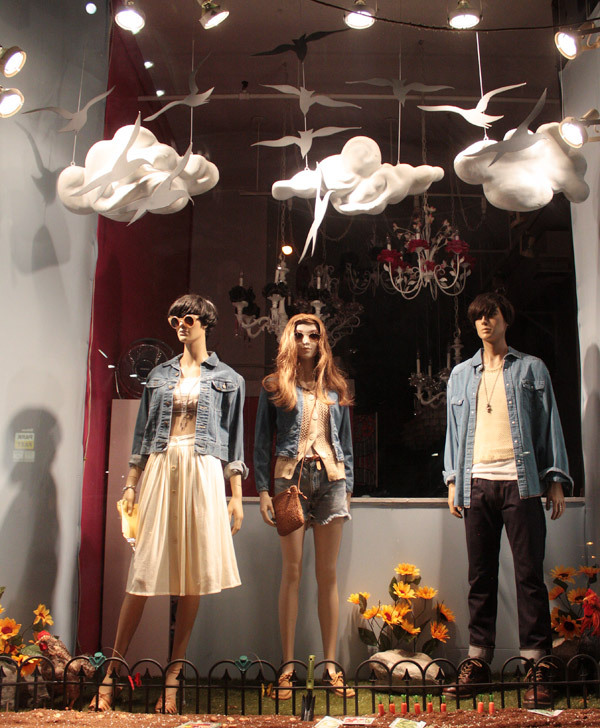 Check out our lovely window featuring some of our favorite denim must haves. And look what we just spotted, DJ Nelleke wearing our incredible denim and faux cowhide jeans on Refinery29’s Month of denim. How amazing does she look?? 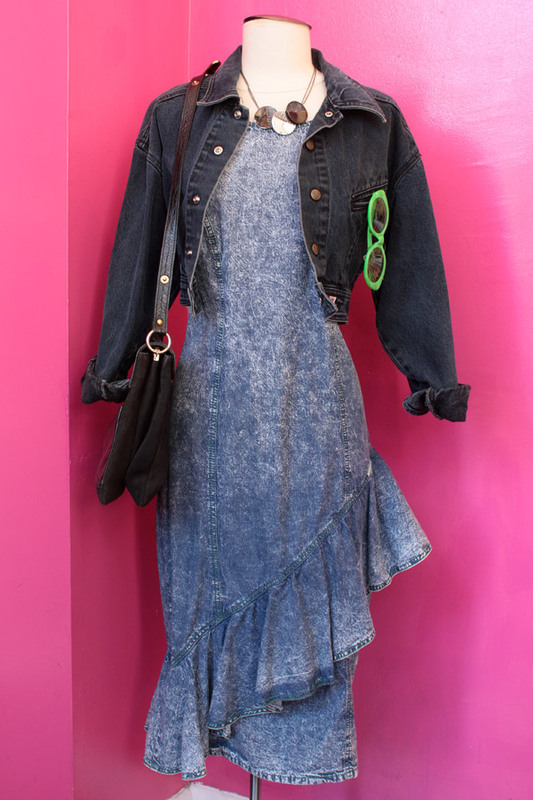 We absolutely love this acid wash dress and cropped denim jacket!